Outlondish’s list of outlandish London literature! 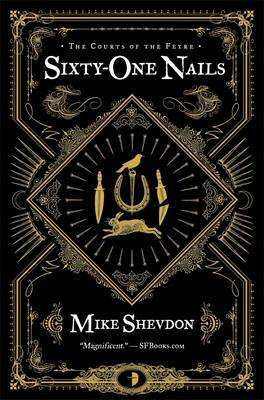 Mike Shevdon’s ‘Sixty-One Nails’ is a very clever fusion of fiction, customs, and folklore. The action takes place on and around The Strand and Covent Garden in London, as well as venturing into the London Underground. It is also very entertaining and not even slightly girly as some of you might expect a novel about the Fey to be. I really loved it and couldn’t recommend it more highly. You can check out Mike’s Page at the Angry Robot website, where you will also find lots of other great books. They are definitely one of the most interesting Fantasy publisher out there at the moment if you ask me (which you didn’t I know).